Amazing, River and Panoramic Mountains views from every window in this beautifully upgraded executive home! 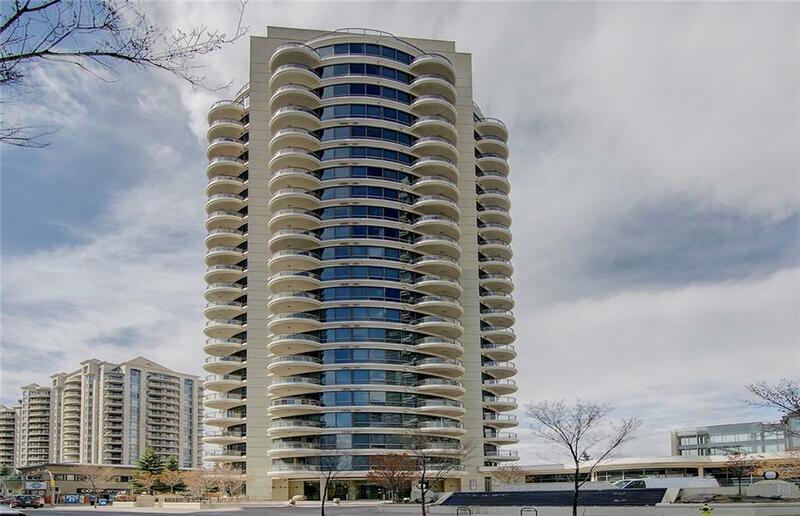 Youll impress friends & family with the open plan & spacious balcony as you watch storms form in the mountains & water flow by in the Bow! The island kitchen has granite counters, breakfast bar & tons of cabinets. 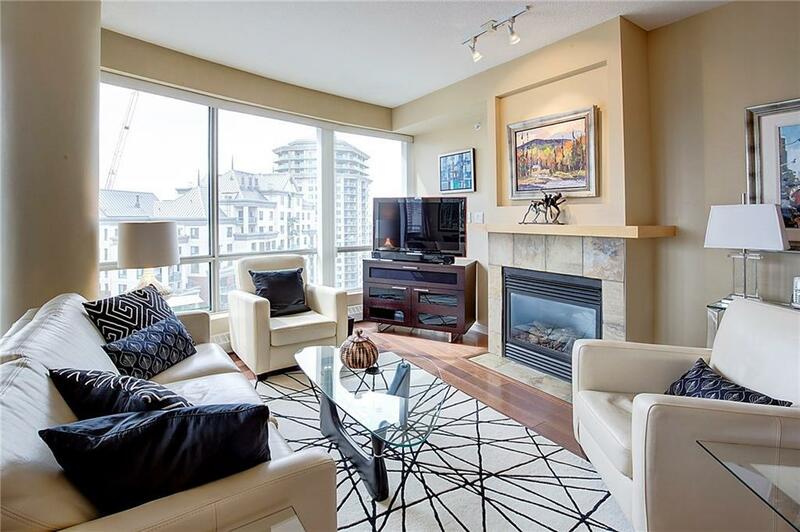 Enjoy 2 bedrooms & 2 full baths including a huge master with his/hers closets & great ensuite! 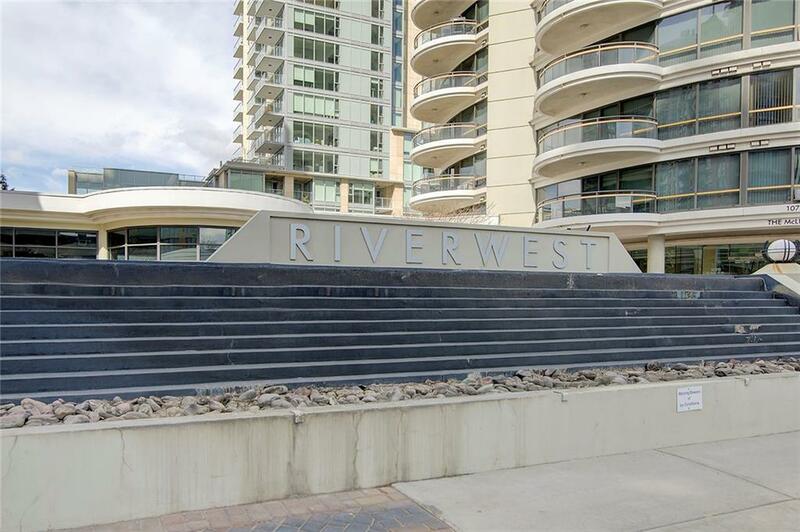 River West offers a pool, hot tub, gym/yoga studio, social room & daytime concierge. 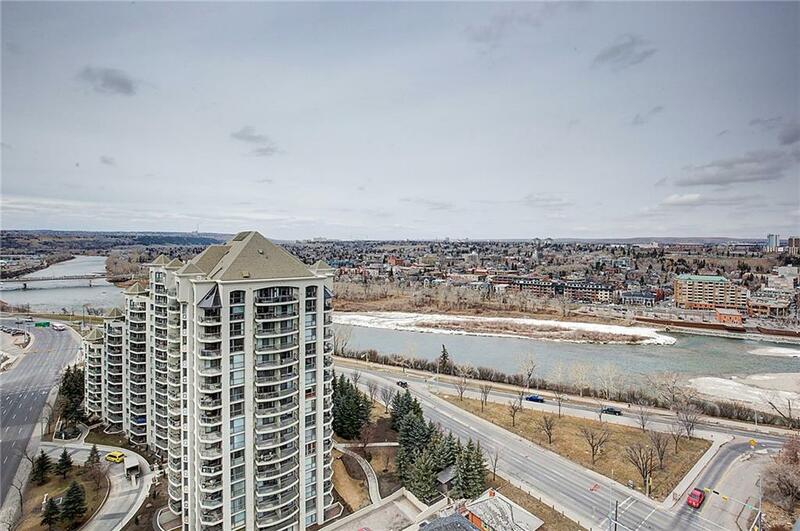 Walk everywhere as this building is only 1 block from the Bow River/pathways, is in the Free Fare Zone for the LRT & just steps to coffee shops & restaurants! Welcome home!